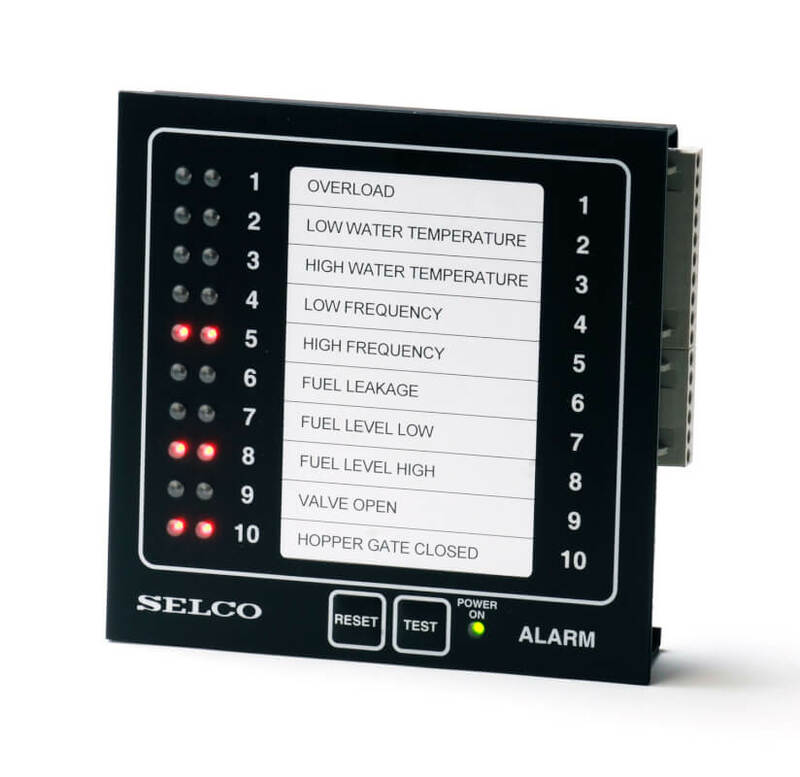 The alarm monitor M1000 is an alarm panel with 10 digital inputs. An input from a dry contact (normally open NO or normally closed NC) will cause a corresponding LED to flash. Simultaneously a common alarm output and a siren output will be activated as well as an individual output. The SELCO M1000 is an Alarm Monitor capable of surveying the state of up to 10 potential free contacts. The inputs of the M1000 can be used to monitor both normally open (NO) and normally closed (NC) contacts. Each contact can be sourced to a positive or negative reference. The M1000 includes a total of 10 inputs. Each input controls two bright red LEDs and an open collector output. A built-in relay provides audible alarm through control of an external siren. The first incoming alarm is indicated with a quick flashing light, following alarms are indicated with slow flashing light. LEDs will keep flashing until the alarms are acknowledged, even though the input signal has been deactivated. Pressing the RESET pushbutton will acknowledge all new alarms whereby all flashing LEDs will change to steady light, provided that the related inputs are still active. Pressing the RESET push button will also silence the siren. The reset sequence is programmable.